It is an enzymatic digest of animal protein. Peptone is the principal source of organic nitrogen for the growing bacteria. It is the water-soluble substances which aid in bacterial growth, such as vitamins, carbohydrates, organic nitrogen compounds and salts. It is the solidifying agent. The presence of sodium chloride in nutrient agar maintains a salt concentration in the medium that is similar to the cytoplasm of the microorganisms. Water is essential for the growth of and reproduction of micro-organisms and also provides the medium through which various nutrients can be transported. pH is adjusted to neutral (7.4) at 25 °C. 1. Suspend 28 g of nutrient agar powder in 1 litre of distilled water. 2. Heat this mixture while stirring to fully dissolve all components. 3. Autoclave the dissolved mixture at 121 degrees Celsius for 15 minutes. 4. Once the nutrient agar has been autoclaved, allow it to cool but not solidify. 5. Pour nutrient agar into each plate and leave plates on the sterile surface until the agar has solidified. 6. Replace the lid of each Petri dish and store the plates in a refrigerator. 1. It is frequently used for isolation and purification of cultures. 2. It can also be used as a means for producing the bacterial lawns needed for antibiotic sensitivity tests. In actuality, antibiotic sensitivity testing is typically performed on media specially formulated for that purpose. What quantity of nutrient agar will be required to be suspended in 500ml of distilled water. Can Enterococcus faecalis grow on nutrient agar? Hello… I wonder that I can ask a question about my problems. I did subculture Bacteria Lignolytic, Selulotic and Cytophaga on Nutrient Broth. But the result the subculture turning into red. I suspected that subculture contain E.coli. I’m not sure about that. Minly it is used for bacterial culture growth. If possible could you add me to the group? I am an aspiring Microbiologist and hope to get more insight or even help in the field and my studies. Thank you, 07756316834.
what are the characteristics of a high quality agar for bacterial growth???? For 1 L media we need 0.4% yeast extract, 1% malt extract, and 0.4% glucose. My question is: What does % mean? To prepare 1 L media we need yeast extract 0.4%. malt extract 1%, and glucose 0.4%. 0.4 % of 1000 ml media is 0.48*1000/100= 4 gm/ Liter of the solute. 1% of 1000 ml media is 1*1000/100= 10 gm/Lt. What about adding he chemical formula? What about nutrient broth ? Composition ? And which culture media would use for which???? Sir I have used nutrient agar for fungus culture…. Before i use PDA for culture it was gud…. But i found lots of bacterial contamination in my Nutrient agar culture…. Does the composition of beef extract hampers the groeth of fungus and favours bacteria instead. peptone water, Nutrient broth, and nutrient agar. non enriched general purpose media. 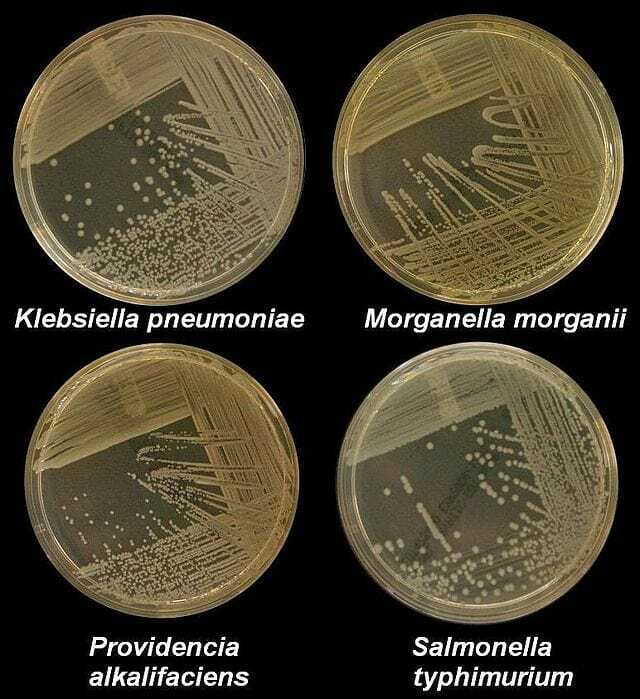 can this basal media use for bacterial survivalence. Hello I have a question. If a leg wound is cultured and it is put on a nutrient agar, Selective agar and Differential Agar what are expected to show? What is the principle or action of nutrient media? eg nutrient agar favour the growth of …..
what is the color of nutrient agar? Could u tell me what are the microbial techniques? Just list put techniques name so that i could learn it from basics. Could u tell me what are the microbial techniques? Just list out the techniques name so that i could learn it from basics. I wonder about questions such as Pseudomonas aeruginosa colonies on nutrient agar?